There was one last thing I wanted to post from my vacation in the Poconos. I had to put the video together first. One afternoon, my family decided to play "Watch Ya Mouth". It's a game my sister brought, and plays with her kids. The players have to try to pronounce words, while wearing a mouthpiece that makes you look like the Predator alien. It was so funny and ridiculous that I had to take video of us playing. Today I finally got around to editing the clips together. 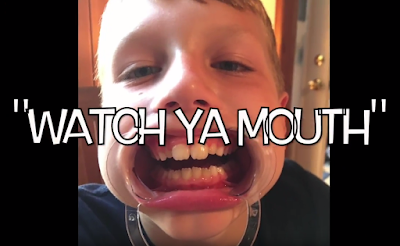 In the video, my attempt is first, then both my nephews, then my fiancé Loretta, then my sister Mandi, then finally my Dad. Filmed & Edited by Paul Micarelli. My family goes on vacation every year to either the Jersey Shore or the Pocono Mountains in Pennsylvania. This year, we stayed at Big Bass Lake in the Poconos. It's nice to be able to spend time with my whole family, even if everyone can't stay for the entire time. The weather wasn't that great, but it was still a fun week. I already posted about the Flea Market Finds & my nature photography. Playing the game I created, "Da Vinci's Challenge" with my nephews. 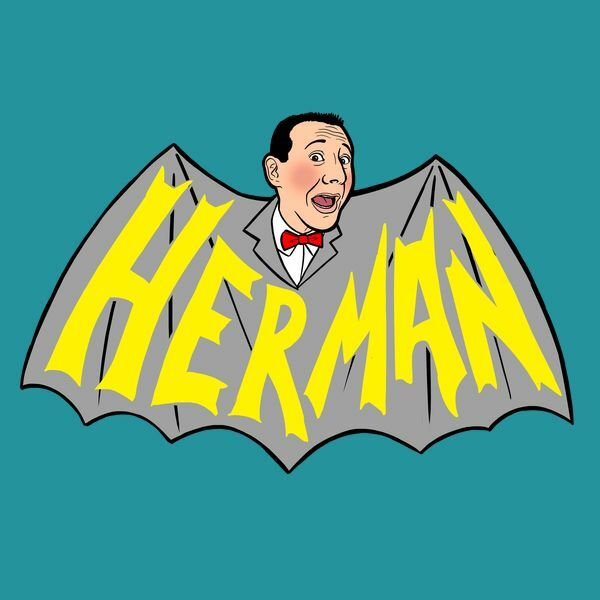 This gave me flashbacks to my encounter with a timber rattlesnake on a trail a few years ago. 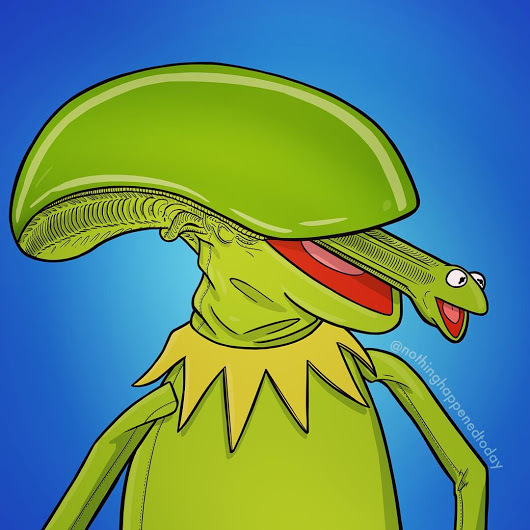 I was continually scanning the ground after seeing this. I added some photos to my album, of animals and natural landscapes that I took while on vacation in the Poconos. The weather was rainy a lot of the week, but I still managed to get outside enough to see sunsets over the lakes, animals, and the beauty of the natural environment in the mountains. This large dragonfly was sitting on the screen window. I was able to snap a photo of this water snake as he swam past the dock. This dragonfly had hit the window and was injured. My nephew & I put him in the woods, hoping he would eventually recover. I saw these fuzzy clusters of flowers on the Davis Trail in Scranton, PA.
A waterfall on the Davis Trail in Scranton, PA. This blue heron was walking past the beach behind our house. We usually start the week off by going to the giant Blue Ridge Flea Market on Sunday morning. There are seemingly endless tables of random crap, & plenty of interesting characters for people-watching. My sister started a "Flea Market Finds" game- where we try to find the funniest, most bizarre, or craziest item for under $5.00. My pick was a set of "Fore-Playing Cards". My fiancé is bewildered about why I always have to choose things with sexual themes for this game, but they are usually the funniest items I see. This was my pick for the game, "Fore-Playing Cards"
A weird metal sun sculpture? A bearded wizard mannequin head, with Michael Jackson's face. Next to the obligatory Nazi sword. I was on vacation last week, and read the next book in my long reading queue. The Ancient Paths, by Graham Robb, is about the rediscovery of the ancient Celtic culture that was once spread across Europe. Because there was no written history, much of the details about the Celtic way of life has been lost. Many people now associate the word "Celtic" with Ireland, but, in fact, it is a term that describes a far reaching tribal culture that was spread throughout western Europe- including France and Spain. The isolated island of Ireland ("Éire" in Gaelic / "Hiberina" in Latin) was the last area not overtaken by the Roman Empire, so the last vestiges of Celtic art and identity were preserved there. The educated elites of Celtic culture were the Druids. This is another term that has been confused over the centuries. The Druids were not magical wizards, they were actually the ancient equivalent of the "Renaissance Man," like Leonardo da Vinci. The Druids were professionals trained in many different forms of knowledge & skills, such as astronomy, natural law, the understanding of plants, politics, and medicine. Unfortunately, Celtic culture and knowledge was pretty much wiped out by the Roman Empire. They were not just looking to tame the Celtic & Germanic "savages" of the rest of Europe and create a buffer zone between them and Rome. The Romans were mostly interested in expanding their business interests and extracting wealth & resources from these areas. All war and invasion is usually about money and power, regardless of the pretext given to the citizens of the invading nation. Like so many cultures who have succumbed to a more powerful enemy, the vast knowledge and history of the Celts was almost completely wiped out. 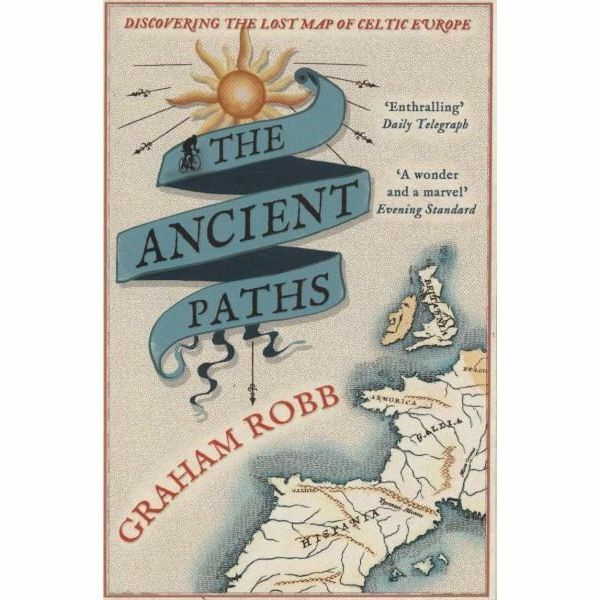 Graham Robb has used archaeological clues to reconstruct some aspects of Celtic civilization, which was extensive & advanced in certain ways. There was already a network of roads & locations based on cosmological alignments in place when the Romans overran Gaul and the Iberian Peninsula. This is why the Roman legions were able to spread swiftly throughout the continent on their various campaigns. One aspect of the book that personally interesting to me was the use of sacred geometry in Celtic art, especially the Flower of Life pattern that I used in the creation of the game "Da Vinci's Challenge". 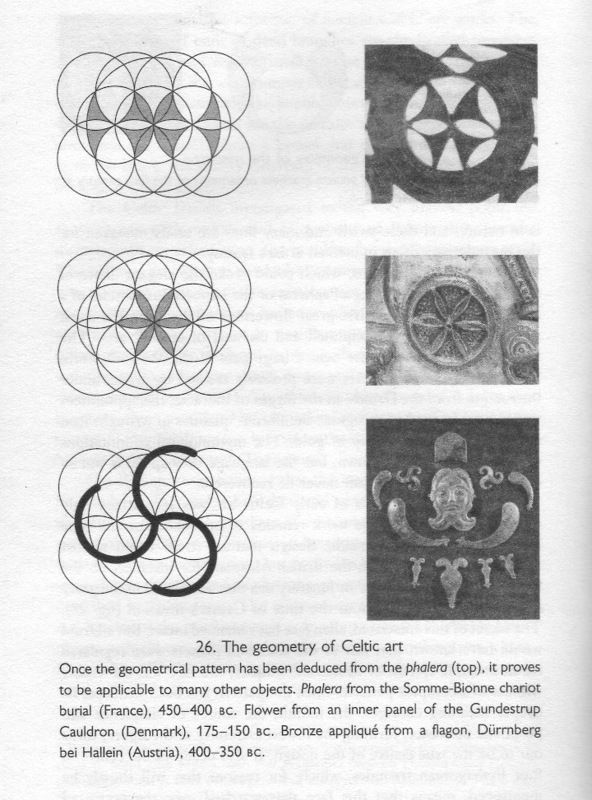 Robb shows how these geometric constructions guided the designs of the ancient Celts. Overall, the book was very interesting, and gave me a new perspective on two parts of my ancient heritage, since my ancestors included the Irish & Italians. The narrative gets bogged down a bit by the endless place names and speculations on various specific locations, but I would definitely recommend it to anyone interested in history. It made for good vacation reading & I finished the book by the end of the week. I've been finding a lot of great artists on Instagram, so I've been posting them here as I come across them. 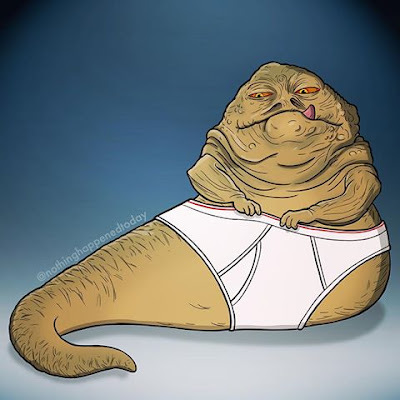 Artist & illustrator Ed Harrington creates mash-ups & twisted takes on pop culture icons, including many characters from the 1980's that were popular when I was a kid. As I began to question the "Strangeness" of my experience & the world around me, reality began to dissolve away into an chaotic infinite energy field. 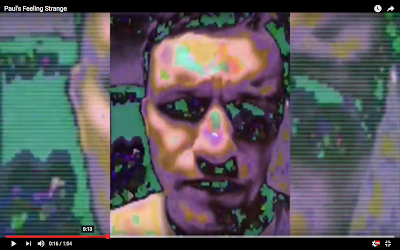 This is the second "Strange" video I've uploaded, which I've been meaning to do for awhile. I made both videos a few years ago, but I finally got around editing this clip & creating a music track in Garageband. I'm grateful to live in a country like the United States, where life is relatively good. Still, I'm not really a nationalistic person, or one to feel overly-sentimental about an abstract concept, like a country. This is about as patriotic as I'm going to get... rocking out to AMERICA F*#K YEAH! 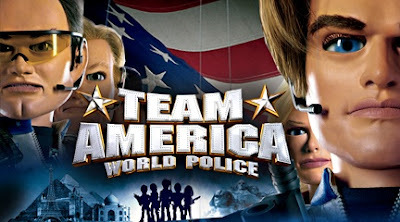 from "Team America World Police", the ridiculous movie from the creators of South Park. 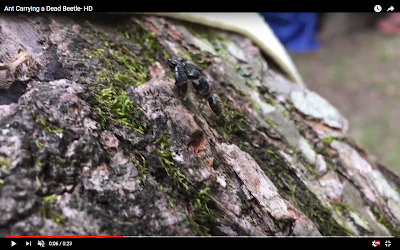 While camping last month, I saw this ant carrying a dead beetle along a tree. I love taking nature photography & video, and animal behavior always interests me. I got a closeup video as the ant scurried along, with the dead creature firmly in its jaws.